After this weekend, Brandon area residents will no longer have to travel to Tampa to see a movie in IMAX. On Friday night, AMC Regency 20 off S.R. 60 is opening it’s first IMAX screen with a showing of Legends of Guardians: The Owls of Ga’Hoole and special events for the whole family. Starting at 4 p.m. Hometown Hero and Valrico resident Zach Bonner and Brandon’s Honorary Mayor Lisa Rodriguez will join the AMC management team to kick-start the grand-opening events with an official ticket-tearing ceremony at the theater. Then from 4-6 p.m., guests will be able to spin a wheel to win AMC/IMAX prizes, while supplies last, and have their child’s face painted by Dipsy & Doodle or pick up an owl shaped balloon from the Balloon Animal Specialis . The Care Animal Hospital is scheduled to be present with two live owls for photo opportunities and Music Showcase will have a table set up with activities for children to express themselves musically. 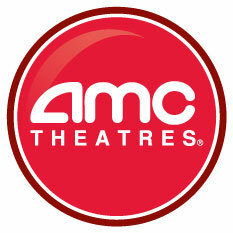 Tickets are on sale now at www.amctheatres.com/regency20 and for more information, contact Chantal Manno at (954) 200-8012 or by email at Cmanno@alliedim.com.